Protecting property from intrusion can be a straightforward task following the determination of risk. Forced entry can be described in numerous ways but the most common is by Bodily Force and Power Tools. 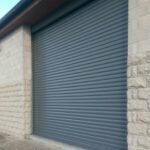 Following a similar generalisation, physical security solutions are designed to provide resistance against tools that fall within either category. This distinction is clarified by the Loss Prevention Certification Board (LPCB), the UK’s leading centre for security and fire product testing and approvals, which provides specification standards for security products. Compared to risks such as Ballistic Attack, bodily force is less of a top-level security threat. There is a stronger argument for the day-to-day safety considerations for keeping a business running or a residential property protected against theft and vandalism. Intrusion via bodily force is very much an opportunist crime, and the largest role physical security measures can play is deterrence. Inexperienced criminals will attempt stealth attacks, using whichever tools they can acquire that make minimal noise. Burglary attempts on residential and retail spaces are a prime example of unplanned attacks by criminals not considered professional. Bodily force refers to any attack that is manually powered, such as manual levering and hand tools. Anything that can be used to damage a property through manual bodily force is considered a risk and therefore the property owner and management team should identify this risk and implement mitigation strategies to counteract. Why is it important to protect against a bodily force attack? The LPCB LPS 1175: Issue 7 standard applies its findings to categorising physical security product ratings, assessing their resistance level and effectiveness in delaying an attack. These clarifications allow for an industry-wide understanding of product performance and mitigation of risk. The standard works as follows: Say, for example, the Risk Management team of a national convenience store chain were to identify that opportunist criminals were continually attacking their stores with minimal tools (i.e. jemmy bars, bolt cutters). These tools fall within the tools Category B, suggesting there is an imminent requirement for products tried and tested to SR2. There is very little need to procure certified measures above SR2 when the risk is relatively minimal. Threats at this level will mainly be theft or vandalism. Intruders who intend to cause internal damage to the property will avoid making any noise if possible, and often any signs of security measures will be effective in deterring. Retail outlets that store valuable goods such as cigarettes or electronics, on the other hand, are often targeted for the quick profit. Though the deterrence of obvious security measures will eliminate most threats, the physical resilience must be effective enough to mitigate actual attempts. Vacant properties face more risks such as arson, either accidental from squatters and juvenile activity, on more serious fraudulent attempts on seized properties. Site responsibility here falls to the local police force. Another element within this is metal – despite a fall in recorded thefts, metal is still one of the main reasons for property invasion for the high profit values. In either case, the opportunist nature of these crimes suggests the attack won’t be prolonged beyond a couple of minutes – an attack SR2 products can sufficiently protect a property against. Whilst there are numerous elements for consideration when securing a site under threat from bodily force, point of entries and store rooms are the most relevant. The main consideration for securing is often during the hours that no one will be on site. For commercial premises, there must also be sufficient security to protect against opportunist theft during opening hours. A security guard presence, obvious security cameras and vigilant signage provide reassurance to staff, protection to stock, and general support to business continuity. Relevant solutions for commercial premises including SR2 Security Shutters with LockDown features, as offered through Charter Global’s premium association Obexion, are effective in mitigating risk of Bodily Force. For residential premises, solutions such as Security Blinds are an effective choice for mitigating entry through windows by restricting the view from outside and reinforcing the window aperture. Further considerations to be aware of when securing a property against bodily force is type of application. Whilst the watchful presence of a security guard would be appropriate for retail and commercial applications, there is argument against increasing an authoritative presence in schools or community centres as this can have an opposing effect on the trust the public has for their safety whilst on site. Location also has relevance. Structures can be weakened over time from natural weather conditions, such as being located by the coast, or following extreme coldsnaps or heatwaves. Whilst semi-regular security overviews should be common practise for most sites, additional condition checks wouldn’t go amiss.